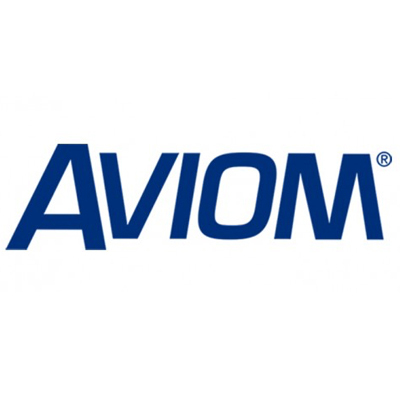 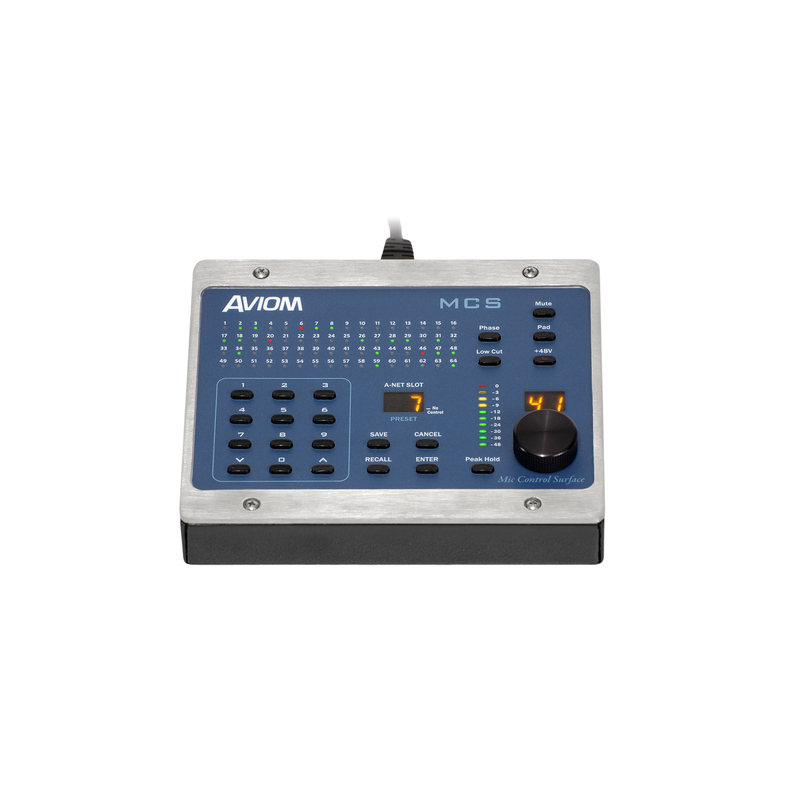 The Aviom MCS Mic Control Surface is a hand-held device that provides remote control of mic preaamps in the AllFrame and 6416m Mic Input Modules in a Pro64 digital snake or audio network. 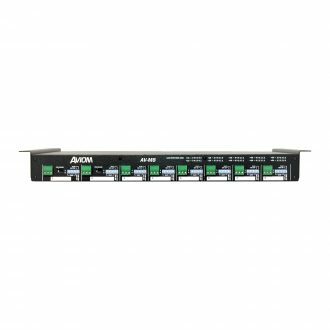 It also serves as a network activity monitor, showing the entire 64-channel Pro64 network and alerting the operator of any signal level problems. 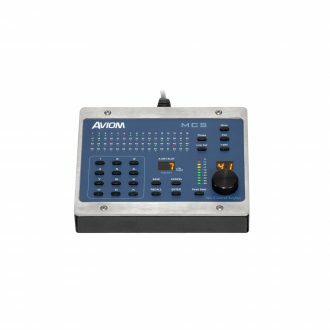 At least one RCI Remote Control Interface is required in the network to connect the MCS. 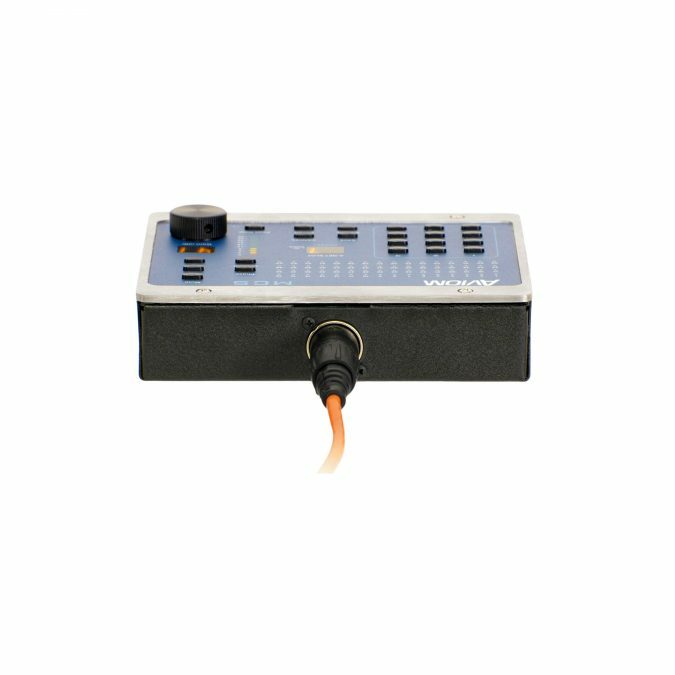 The MCS connects to the RCI Remote Control Interface with a single Cat-5 cable. 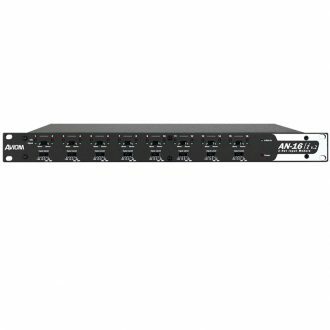 Audio channel strip settings for each active Pro64 mic preamp channel—gain, phase, low cut filter, 24dB pad, +48V phantom power, and mute— can be controlled from the MCS. 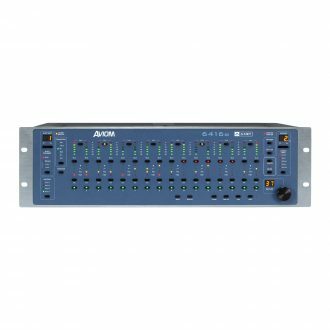 Sixty-four bicolor LEDs provide real-time status monitoring of the full 64-channel Pro64 network stream, while a high resolution meter provides detailed monitoring of the selected channel’s signal level. 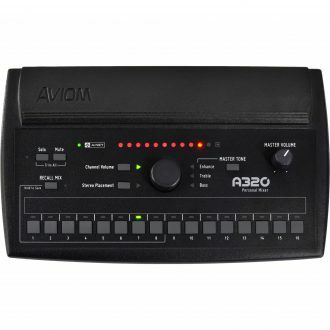 All level meters include a switchable peak hold. 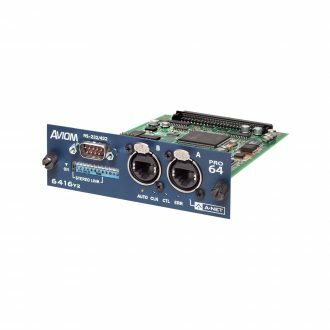 A single RCI and MCS can be used to control up to 64 channels of mic preamp inputs, regardless of their location in the network. Alternatively, any number of RCI Remote Control Interfaces can be installed throughout a Pro64 network, providing multiple control points. The Control Group function allows control of active mic channels to be divided among up to four different simultaneous users and control points. 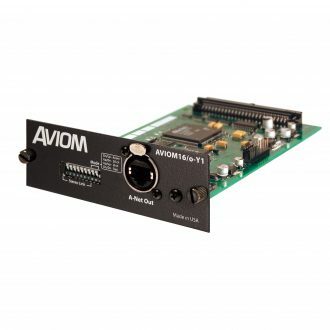 The MCS requires the RCI Remote Control Interface to be used with a Pro64 network and connects to the RCI using a standard Cat-5e cable.